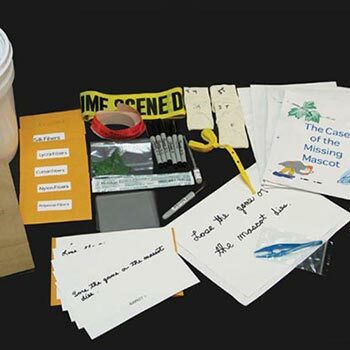 The Lois McArthur Mystery: A Murder Investigation, Forensic & Crime Scene Kits: Educational Innovations, Inc.
All the intrigue, mystery and excitement of an actual case arrives at your school with The Lois McArthur Mystery in a cost-effective way! 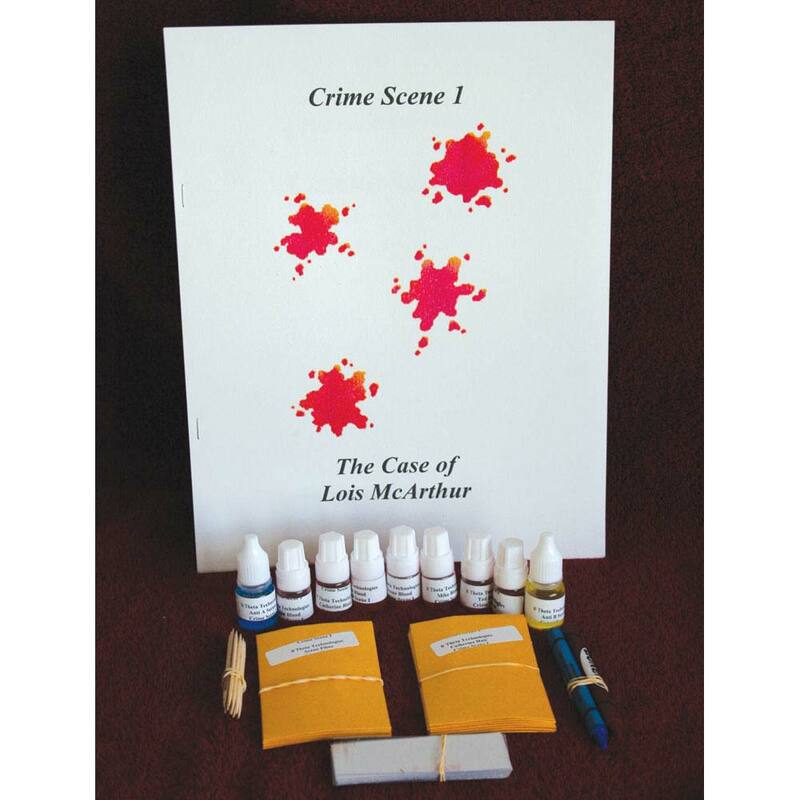 A single scenario that relates biology, chemistry and physics tools to criminal investigations. 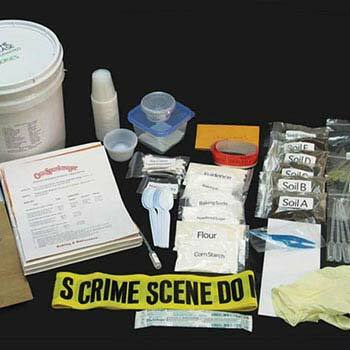 Each student in three classes of 24 will be able to conduct the following tests: Blood analysis, fiber analysis, fingerprints, and handwriting analysis. 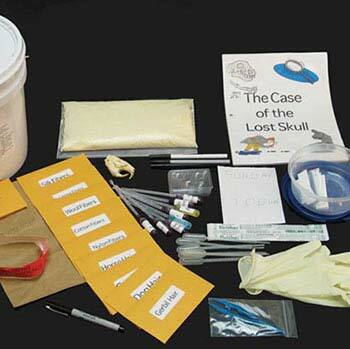 These kits are meant to serve three classes of 24 students working in pairs. It is not unusual for teachers to be able to expand that to four classes if they are careful with the materials provided. I thought that this kit is well designed over all. I am using it for a homeschool co-op group. The kids find it interesting. It would be nice if the pipettes were included. Also, I thought the case could be a bit more complex to solve. Fun! My students particularly enjoyed the blood typing exercise. We found the hair and fiber analysis to be challenging without using additional lab supplies (more slides, magnifying glasses, tweezers, additional pipettes, microscopes). 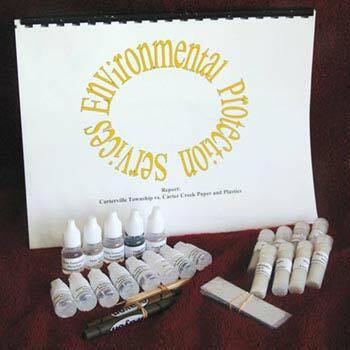 This is a great kit for the money, especially if you have the additional lab supplies already. the use of Prezi slideshow also helped the students focus. The packet is terrific, but you only get tiny samples of each substance.